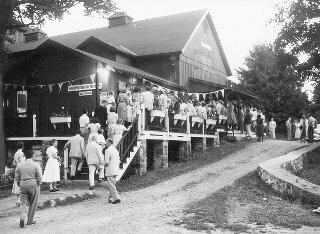 If you went to the Westport Country Playhouse any time between 1931 and 2005, you remember certain things: The tight lobby. The bench seats. The unique smell. 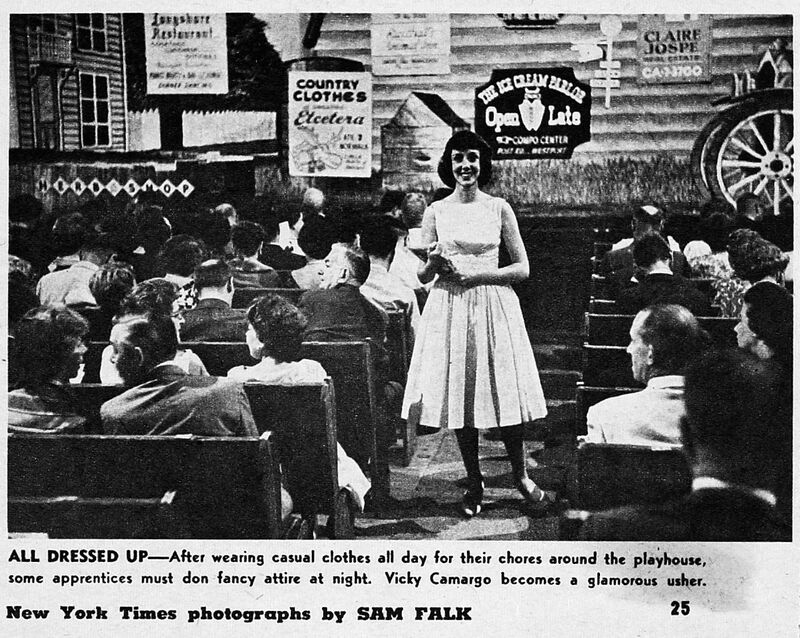 Hanging in front of the main curtain, the olio — a large canvas attached at the bottom to a long rigid tube — featured painted advertisements for local businesses. 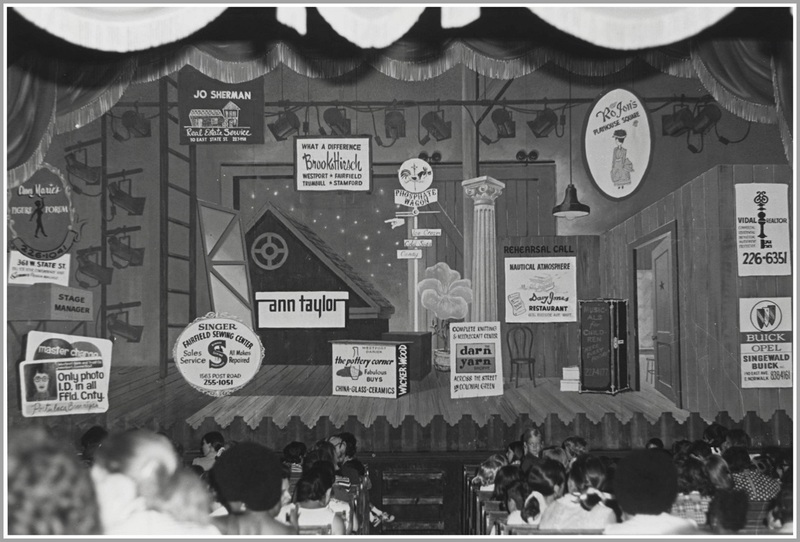 Since the WCP renovation, theater-goers have been greeted immediately by the set on stage. There is no curtain. The current production — “The Understudy” — is a comedy that takes place in a theater. At this show, patrons see the red velvet main curtain, hanging from the proscenium arch. So what did that olio curtain look like? She doesn’t know the date. But alert “06880” readers who remember Brooks Hirsch, Ann Marie’s Figure Forum and Davy Jones’ restaurant can help. FUN FACT: Pat adds that the WCP main curtain does not have “legs” (the narrow curtains on each side of the stage). In early vaudeville days, producers booked more performers than could possibly fill the time. That way, they could pull “bad” acts before completion. Performers were not paid unless they actually performed onstage. The phrase “break a leg” meant breaking the visual plane of the legs that lined the side of the stage. 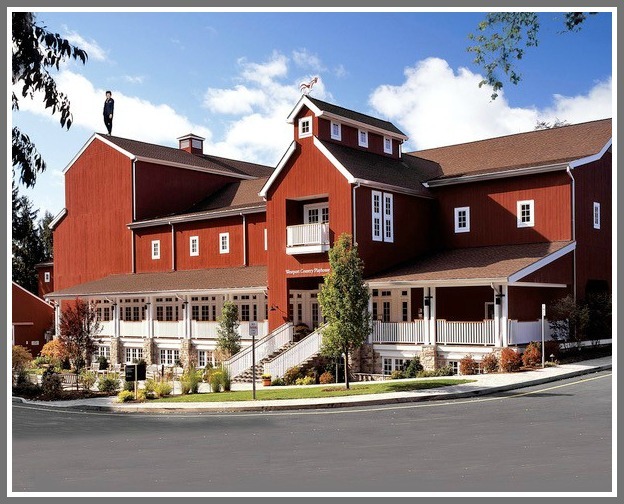 It’s a big week for the Westport Country Playhouse. Tomorrow (Saturday, April 7, 5 to 8 p.m.), the iconic theater kicks off its 88th season with a party. Everyone’s invited to enjoy food trucks, local beer, a sneak peek at the shows, an up-close look at costumes, and much more. 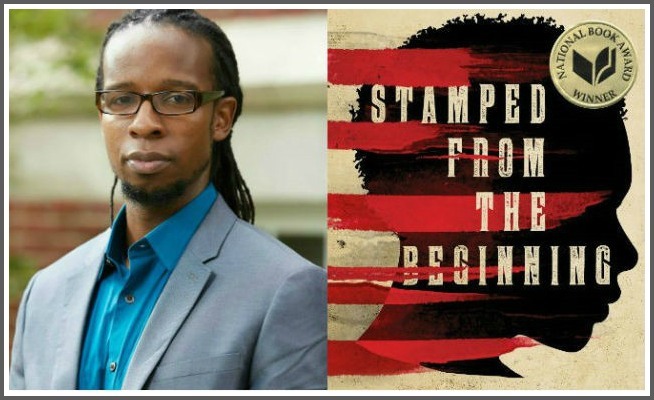 Next Thursday (April 12, 7 p.m.), the spring gala honors playwright A.R. Gurney’s “Love Letters.” Alec Baldwin and Westport’s own Kelli O’Hara star. The Playhouse today looks much as it did in 1931, when Lawrence Langner remodeled an 1830s tannery with a Broadway-quality stage. Over the decades, the Playhouse has changed a bit. It’s been renovated. Amenities — including a new rehearsal building and meeting space — have been added too. 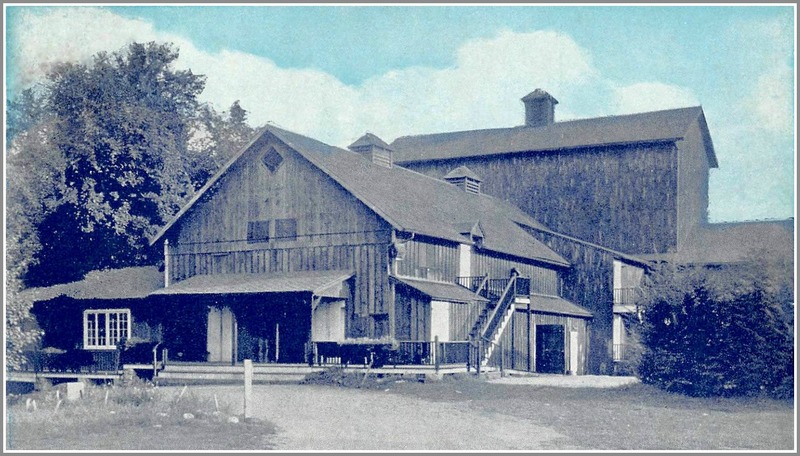 But theatergoers who enjoyed performances by Henry Fonda, Dorothy Gish, Gene Kelly, Paul Robeson and other stars in the 1930s would easily recognize the Westport Country Playhouse today. It hasn’t changed much. It’s still a magical place, where the magic of theater lives. Westport artist Stevan Dohanos — known nationally for his Saturday Evening Post covers and US postage stamps — created the cover for this 1960s-era Playhouse playbill. 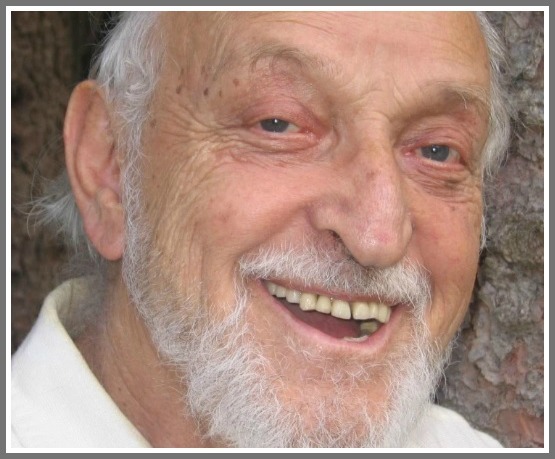 Buell Neidlinger — longtime “06880” reader and commenter/Westport native/world-renowned musician/all-around good guy — died last week. He was 82 years old. Three days before his sudden death, he emailed me a suggestion for a Friday Flashback. He sent a few pages from an old cookbook he’d found. 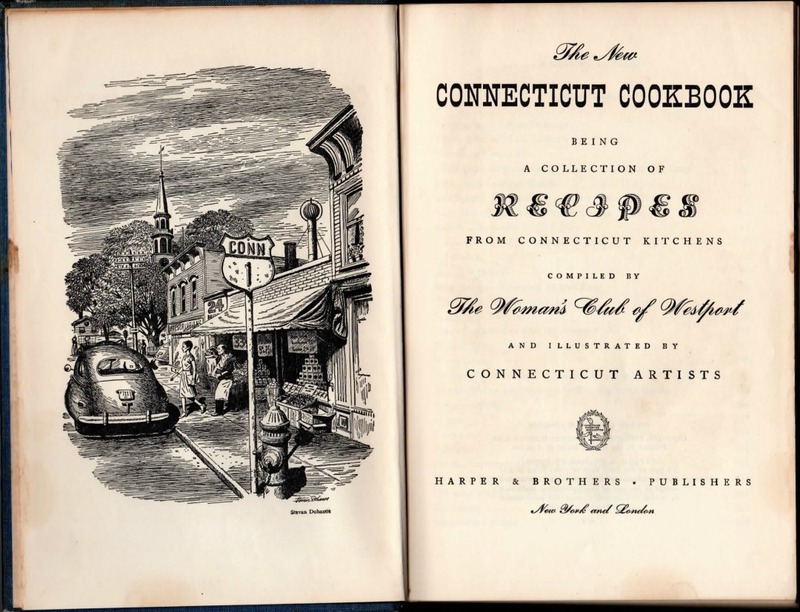 “The New Connecticut Cookbook, Being a Collection of Recipes from Connecticut Kitchens” was compiled by the Woman’s Club of Westport, and illustrated by Connecticut artists. It belonged to his mother. Buell’s pages did not include a publication date. But — judging from the car in the illustration, which may or may not be parked on a stylized version of Main Street — it was early in the papacy of Pope Pius XII. Why that example? Because the preface (below), by literary critic/ biographer/historian Van Wyck Brooks — a Westport resident — notes that as Cardinal Pacelli, “the present Pope has been a visitor here.” Pius XII was Pope from 1939 to 1958. Brooks mentions two other famous visitors to Westport, separated by more than a century: the French gastronome Jean Anthelem Brillat-Savarin (1755-1826), and Luigi Pirandello. The Italian writer and poet attended a performance at the Westport Country Playhouse. That was sometime between 1931 — when the summer theater opened — and 1936, when Pirandello died. 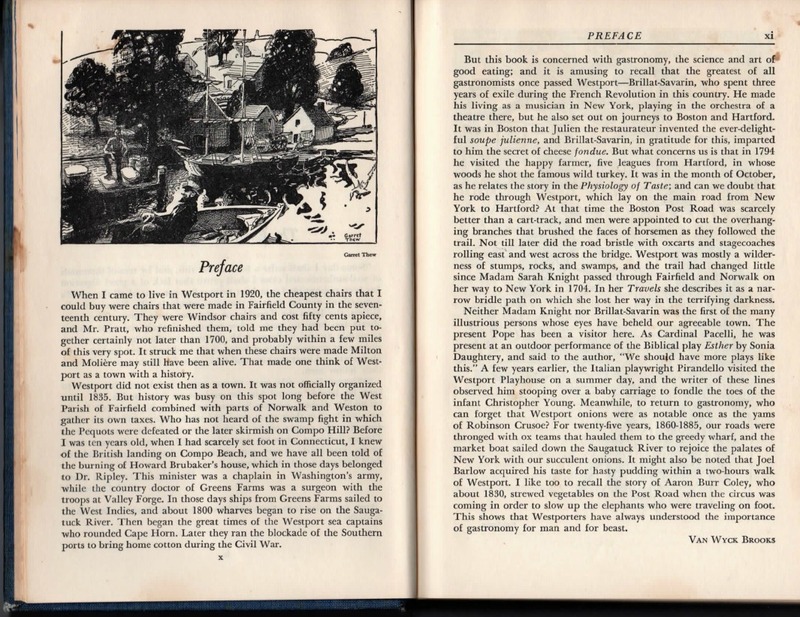 The pages that Buell sent are fascinating. Then again, everything he did for “06880” was. This one’s for you, good friend. 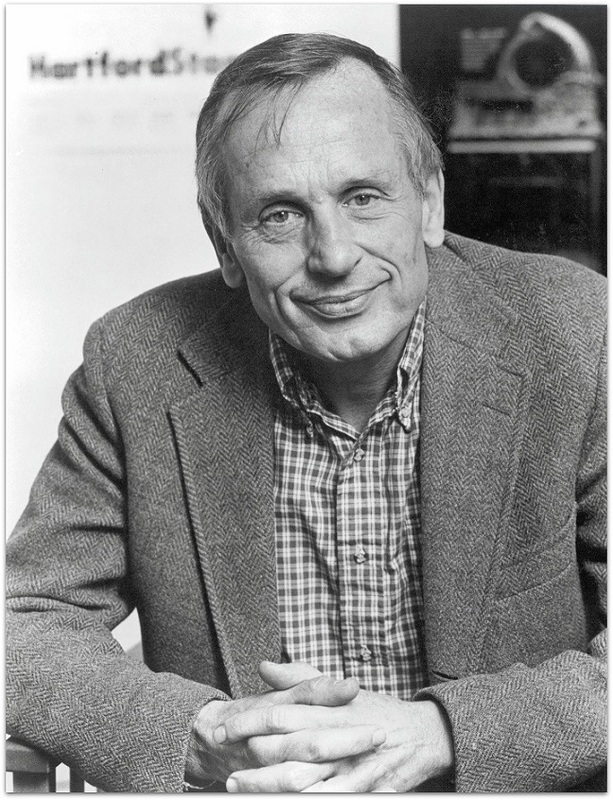 A. R. “Pete” Gurney died last June. He was 86 years old. The playwright holds many distinctions — including most-produced playwright in the Westport Country Playhouse’s 88-year history. Since 1980, the historic theater has produced 21 of his works. Playhouse artistic director Mark Lamos also has a deep association with Gurney. 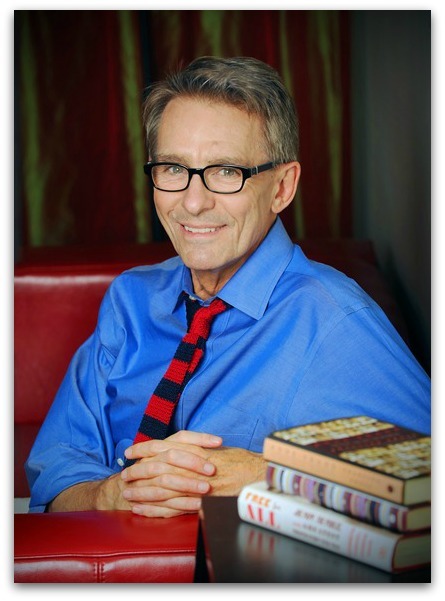 He has directed many of his longtime friend’s plays, both off-Broadway and at the Playhouse. Some were world premieres. 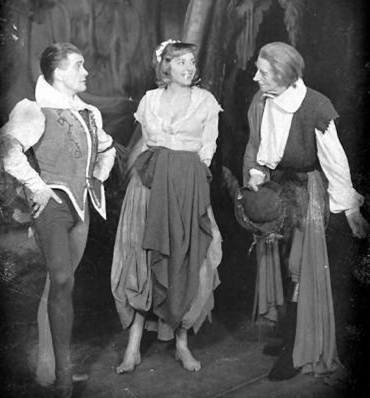 Lamos first met Gurney in the early 1980s, while running Hartford Stage. The writer’s understanding of the “New England WASP gestalt” fascinated the director, who saw in Gurney’s characters some of the company’s board members and donors. 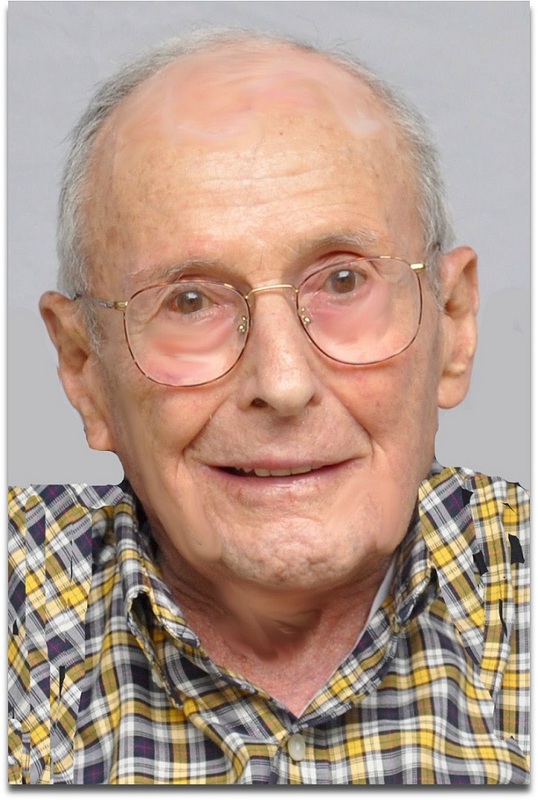 Twenty years ago, when Lamos and his husband moved to western Connecticut, Gurney invited them to dinner with Arthur Miller. 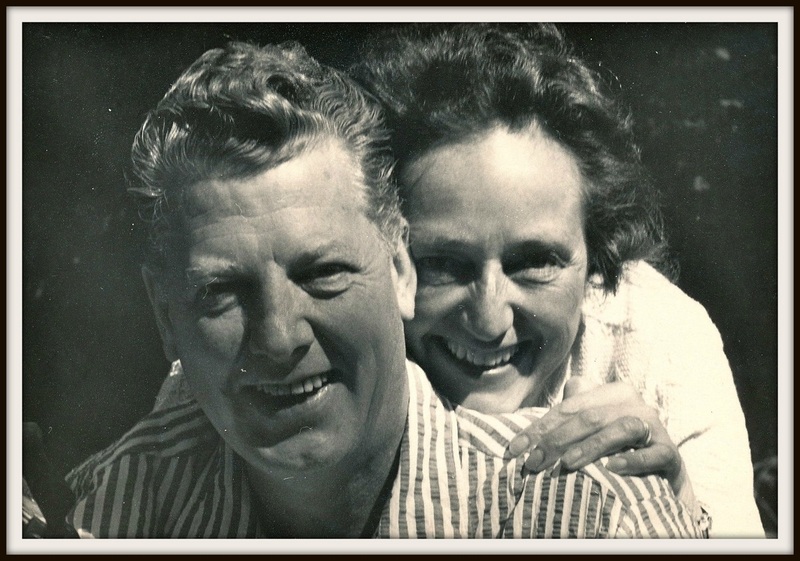 Gurney, Lamos and their spouses became good friends. Over the years, Lamos directed Gurney’s “Big Bill,” “The Dining Room” and others. Since joining the Playhouse in 2009, Lamos has appreciated Gurney’s long association with the Westport theater. Jim McKenzie — executive director there for 41 years — loved the playwright’s work, Lamos says. He’s proud to keep up the tradition. 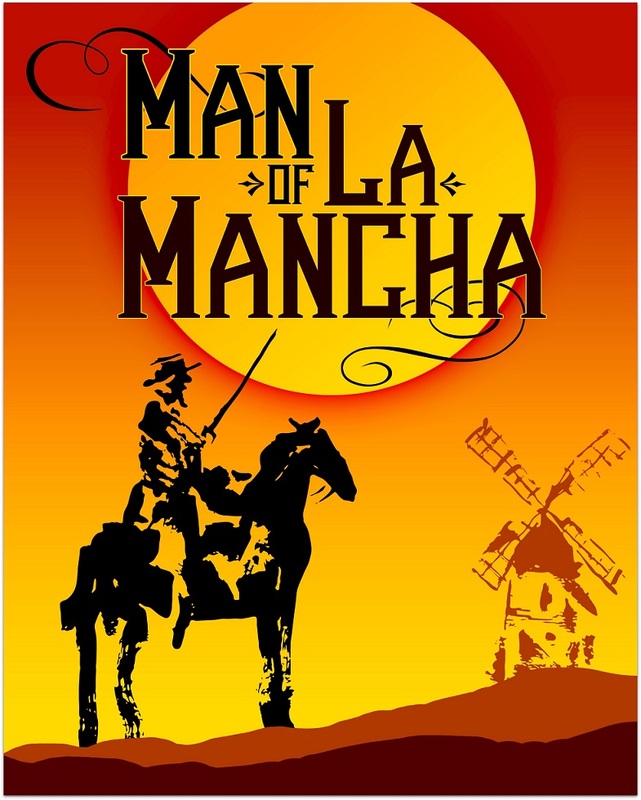 And looking very forward to the April 12 gala, which raises funds so the Playhouse can continue producing many more intriguing, entertaining and thought-provoking plays. By Pete Gurney — and others, too. I knew and loved Patsy for 26 years. We met at the Theatre Actors Workshop. She was a very impressive woman. At UCLA, Patsy was directed by Charlie Chaplin in a production of “Rain.” After college she went into the Broadway company of “Oklahoma!” She then did the London production, returning to New York to take over the role of Ado Annie. She also toured the US with that show. Patsy was then cast in Katharine Hepburn’s Broadway production of “As You Like It.” That’s where she met Cloris Leachman — who married Patsy’s brother George. During the 1950s Patsy did dozens of live TV dramas, including “Playhouse 90” and “Studio One,” while continuing to perform on Broadway and in regional theater. She married Dunham Barney Lefferts. They had a son, Nick, who survives her. For several years, the family rented a 1920s cottage on Norwalk Avenue in Westport. They then bought it, and Patsy lived there permanently from about 1962 to 2002. She was visiting Nick when Hurricane Sandy destroyed the house. She moved back to California, and lived there until her death. 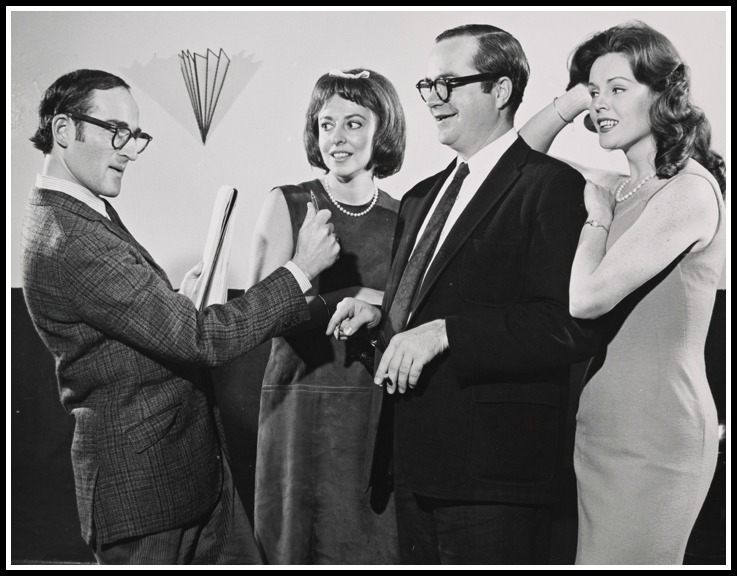 In the early 1960s — while living in Westport — Patsy performed in the groundbreaking political satire TV show “That Was the Week That Was,” with David Frost. She also starred on Broadway in “The Beauty Part,” with Larry Hagman. Patsy Englund (2nd from left) in “The Beauty Part.” The show — which also starred Bert Lahr and Larry Hagman — opened during a newspaper strike. That cost the production valuable publicity. Throughout the ’60s Patsy commuted to New York while acting on several long-running soap operas. She also worked at Long Wharf, the Manhattan Theatre Club — and the Westport Country Playhouse. 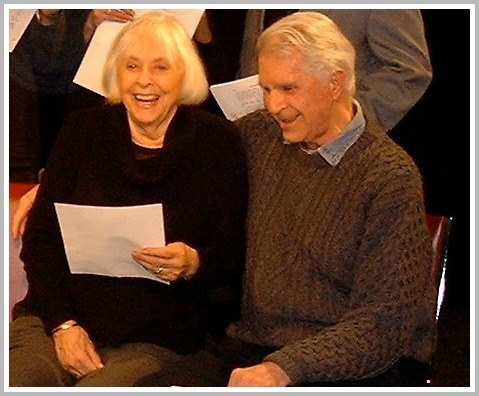 In the mid-’80s, Patsy helped Keir Dullea and his wife Susie Fuller form the Theatre Artists Workshop. Longtime members included Theodore Bikel, Morton DaCosta, David Rogers, Haila Stoddard, and Ring Lardner Jr. They met once a week to workshop new plays, scenes and songs, to audition pieces, and get constructive critiques from peers. The Workshop was housed at Greens Farms Elementary School and the Westport Arts Center, before moving to Norwalk. Patsy Englund with Jim Noble of “Benson” in rehearsal at the Theatre Arts Workshop. 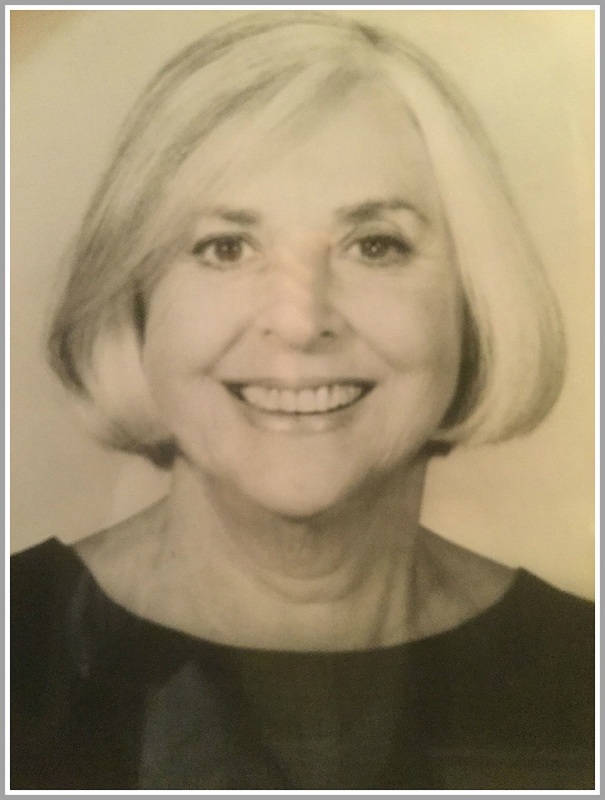 Patsy performed many play readings — including benefits for the Westport Library, Westport Historical Society and Westport Woman’s Club — during her 55 years in Westport. She loved Westport very much, and is one of the great Westporters who contributed so much to the artistic legacy of this town. 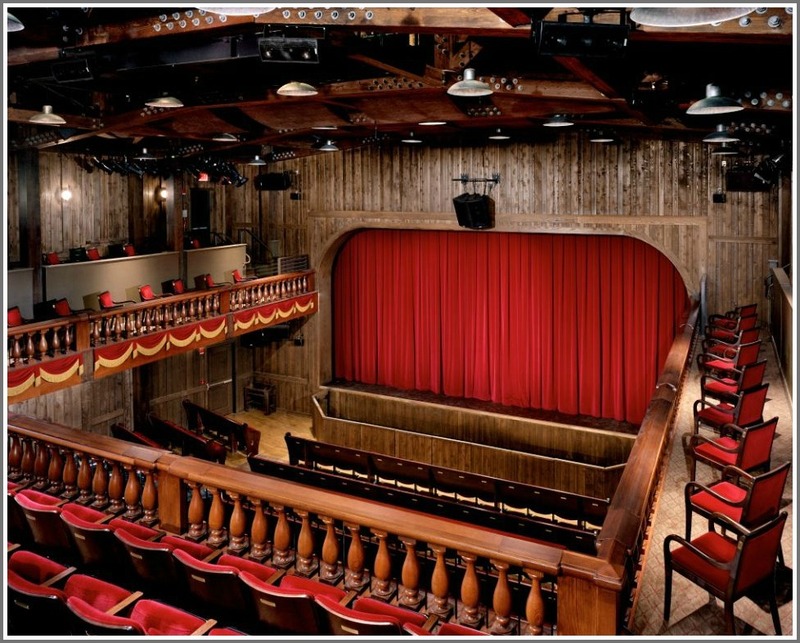 The Westport Country Playhouse — which already includes the Lucille Lortel White Barn Center, and the Sheffer studio space — is adding another name to its property. 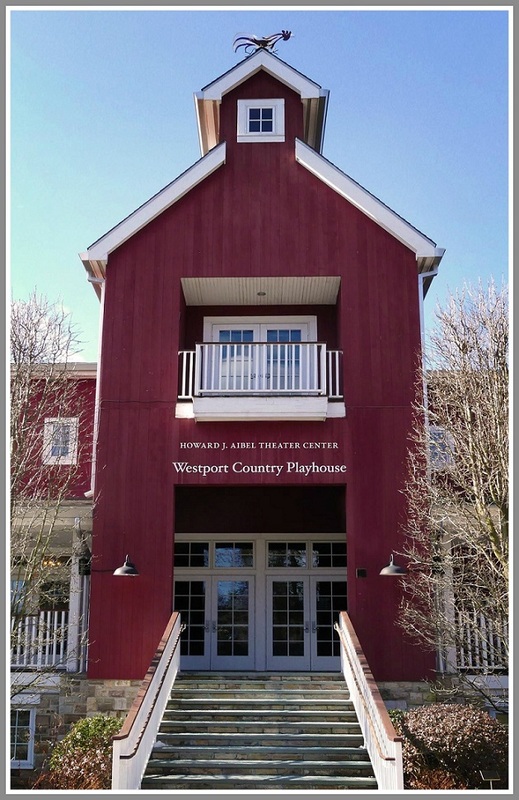 In fact, the entire campus will now be called The Howard J. Aibel Theater Center at Westport Country Playhouse. The change recognizes a $3 million gift from the local resident, and current vice chair of the board of trustees. “I have found live theater to be life transformative,” Aibel — a retired attorney, who formerly served as chief legal officer of ITT Corporation — says. Of Aibel’s grant, $500,000 is designated for current operations, and $500,000 for working capital reserve. A bequest of $2 million to establish an endowment is held in an irrevocable trust. Aibel retired as a partner of Dewey & LeBoeuf, where he focused on international dispute resolution. He served as president of the Harvard Law School Association of New York, and chair of the American Arbitration Association. 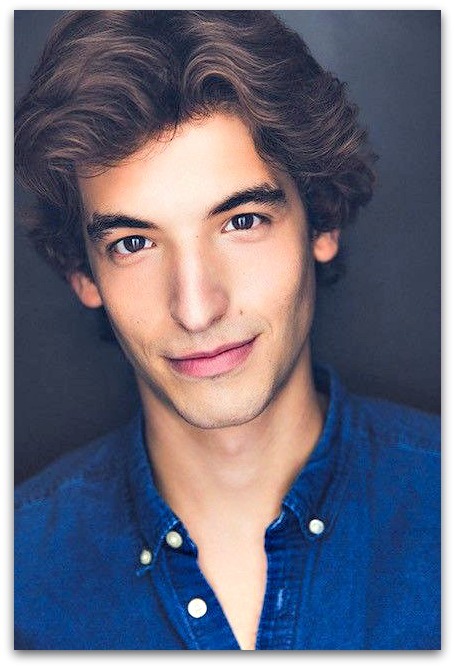 He is also chair emeritus of the Alliance of Resident Theatres/NY. I’m not sure how many people will actually refer to the Playhouse as the Howard Aibel Theatre Center. But there will be a nice sign on the 87-year-old iconic red building to remind everyone that while the arts are important to Westport’s heritage, they need the financial support of people like Aibel, who have the means — and desire — to help keep them alive. 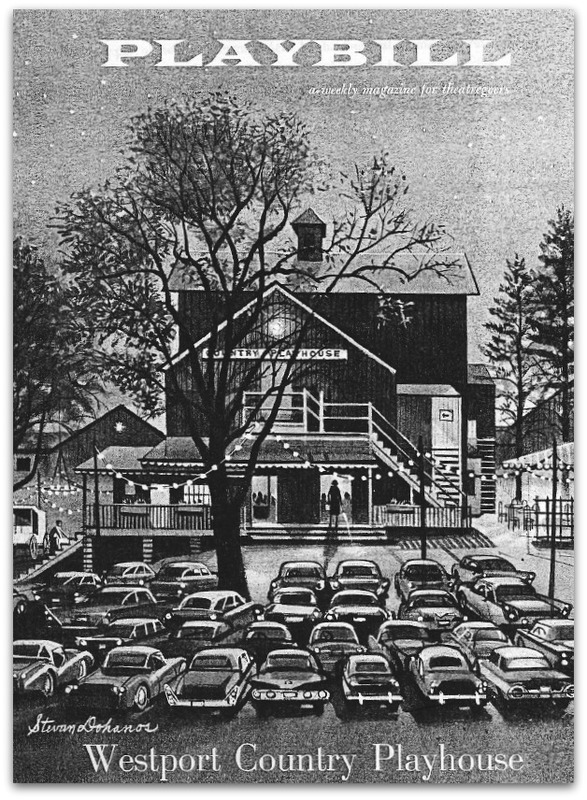 Artist’s rendering of the new sign above the Westport Country Playhouse entrance. That news reminds us of the actor/food and lemonade manufacturer/automobile racer’s enormous, longtime impact on our town. 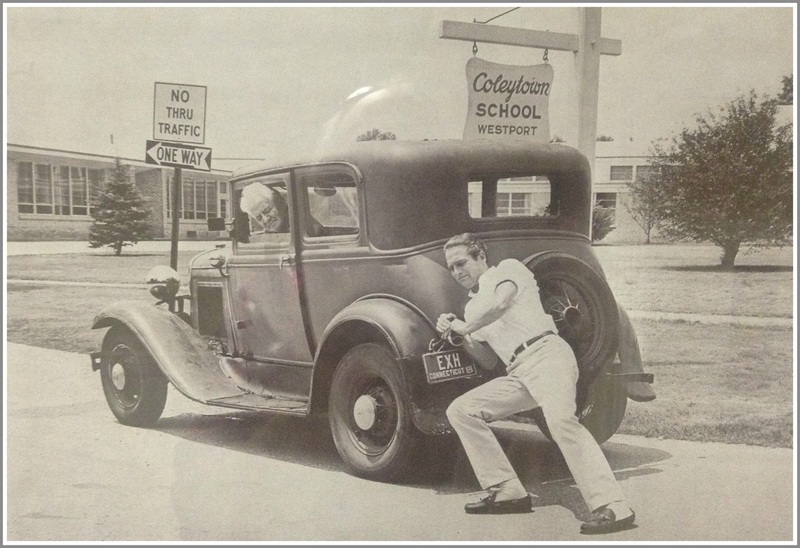 From the time he moved to Coleytown in the late 1950s — attracted here by the movie “Rally Round the Flag, Boys!” — he and his wife Joanne Woodward — were good, giving neighbors. From the Westport Historical Society and Westport Country Playhouse to speaking with middle school students about substance abuse, the couple did plenty for all of us. Everyone who’s lived here a while has a Paul Newman or Joanne Woodward story. 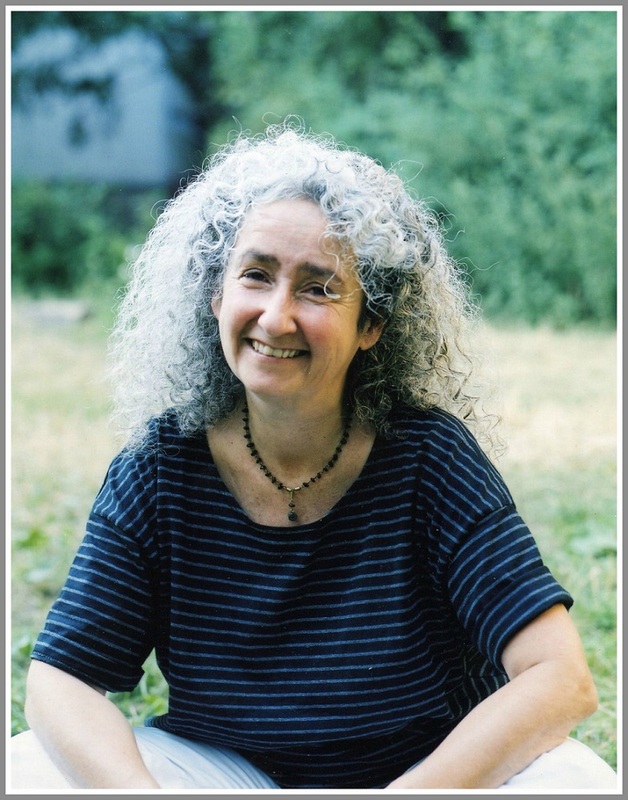 Nora Guthrie cannot remember when her father was not sick. 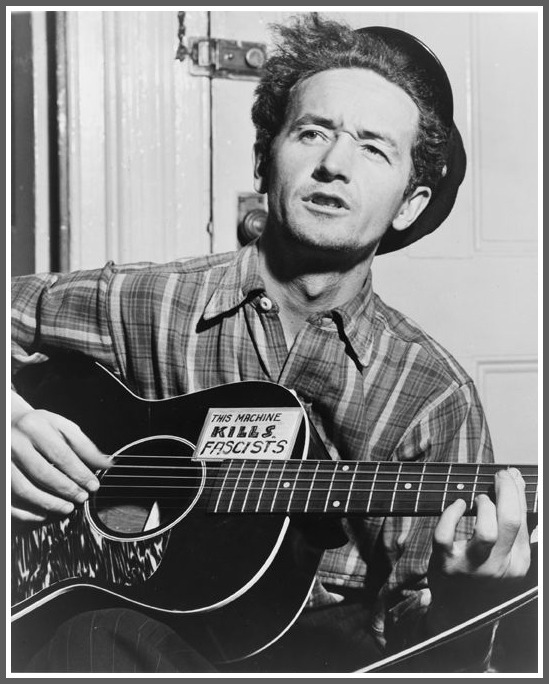 From when she was 2 until he died 15 years later, Woody Guthrie battled Huntington’s disease. It robbed the legendary singer/songwriter of his ability to walk, swallow and speak. Nora went on to a career in modern dance — her mother’s medium. But around 1990, more than 20 years after Woody died, Harold Leventhal — a Weston resident, and Woody Guthrie’s longtime manager — gave Nora boxes full of material. Harold was retiring, and he’d retrieved them from storage. “You should look at these,” he told her. Unlike other relatives — including her older brother Arlo — Nora had not followed in her father’s footsteps. Her main connection with his legacy was signing legal papers a couple of times a year. She picked a piece of paper from one of the boxes. It was written by Woody — and seemed to be aimed directly at her. “He was sick my whole life. So I never had any deep conversations with him,” Nora recalls. The impact of her discovery soon went far beyond her own life. The boxes were filled with 3,000 lyrics Woody had written in the 1930s and ’40s — the prime of his career. Some were complete; others unfinished. Some were one or two lines; others ran up to 85 verses. 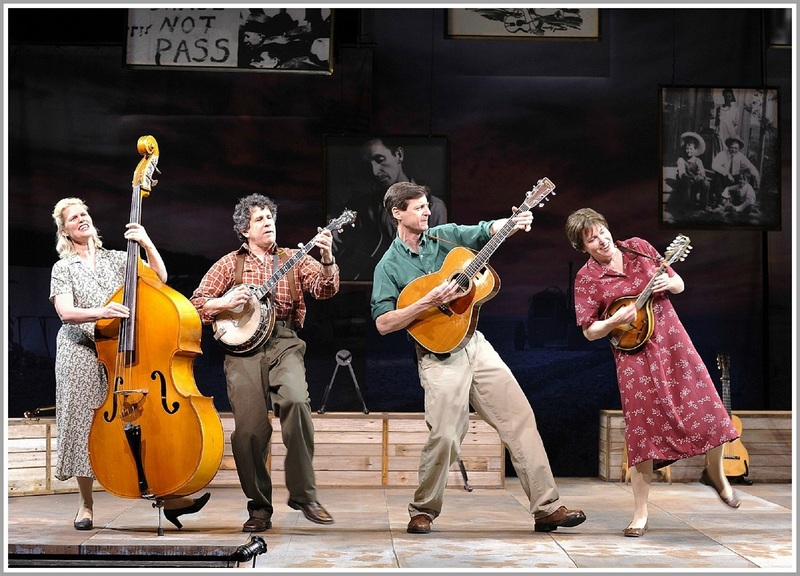 Nora showed them to Pete Seeger, one of Woody’s oldest friends and most cherished collaborators. He’d never seen them — or heard of them. No one else in the American folk music world had, either. There was other remarkable material, like a letter to Woody from John Lennon. Each box offered a previously unknown look into Woody Guthrie’s life. In 1996, Nora co-produced the first Rock and Roll Hall of Fame tribute series honoring Woody. Bruce Springsteen headlined a star-studded concert. There was also a scholarly symposium. Listening to the presentations, Nora realized that “80% of what people were saying was incomplete, or incorrect.” Even Woody’s closest friends and fellow musicians had not seen the archival material. “But Fred hadn’t seen Woody’s 150 love songs,” Nora says. She knew she had to get the story right. She produced 3 groundbreaking Billy Bragg/Wilco collaborations of previously unknown lyrics. She curated “This Land Is Your Land: The Life and Legacy of Woody Guthrie,” in collaboration with the Smithsonian Institution. It toured for 3 years at major museums throughout the country, displaying previously unseen notebooks, diaries, artwork, lyrics, photographs, instruments and memorabilia. From January 9 to 20, the show will be here. 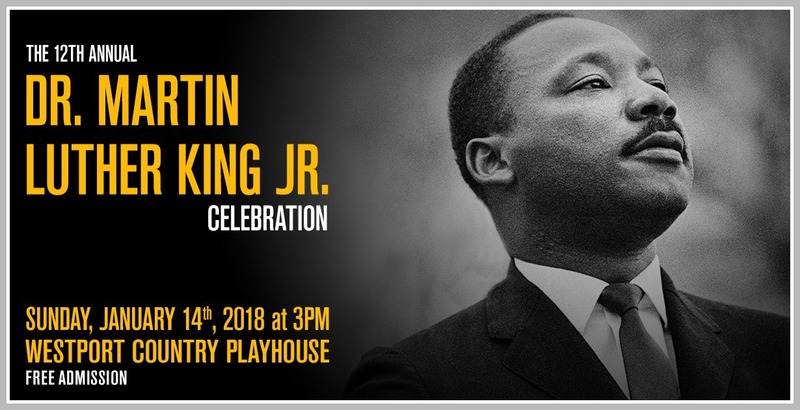 It’s the next big event at the Westport Country Playhouse. Nora is excited. “It’s unbelievable how true Woody’s music is for our world today,” she says. “There’s every major issue: immigration, refugees, tax reform, religion, greed, freedom of speech, politicians, the environment. Nora has seen “Woody Sez” 100 times. Each time, she is inspired. Nora Guthrie discovered her father’s “lost” material, and shined a light on a man she — and America — never really knew. Now “Woody Sez” is doing the same. “In dark times like these,” Nora says, “I don’t believe the American spirit is dark. Even after all these years, Woody’s light humor, light wisdom and light spirit is important.